Some say the remote mountain town of Telluride earned its name from the phrase, “To Hell You Ride.” Well, if this is Hell, I better start sinning. 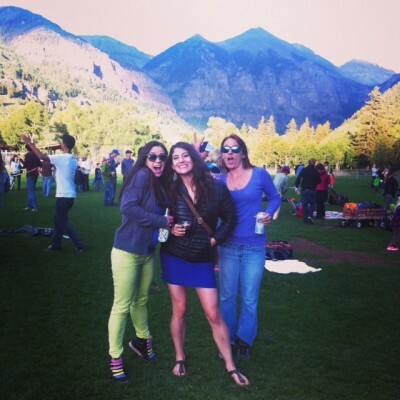 About seven hours from Denver, Telluride is nestled into the fourteener-heavy San Juan Mountain range. The mountains are believed to be much younger than the Rockies, and haven’t experienced nearly as much erosion. You can tell. The mountains are taller, steeper and more jagged than other mountain ranges in Colorado, making the ski area next to the town particularly attractive to expert skiers and riders. 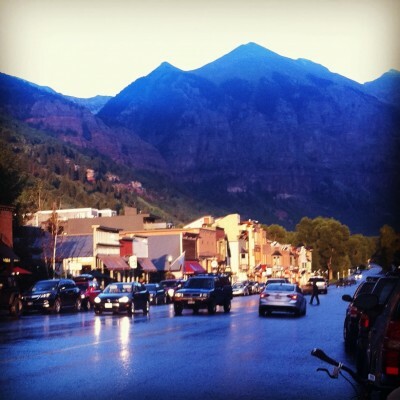 Telluride was once a flourishing mining community. Head to the edge of town to see the old cemetery. 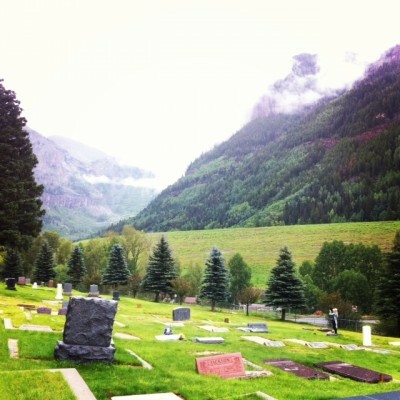 Many headstones bear engravings of miners who perished during Telluride’s heyday in the late 1800’s. Despite Telluride’s remoteness and high elevation of 8,750 feet, many local restaurants source their ingredients as sustainably as possible. 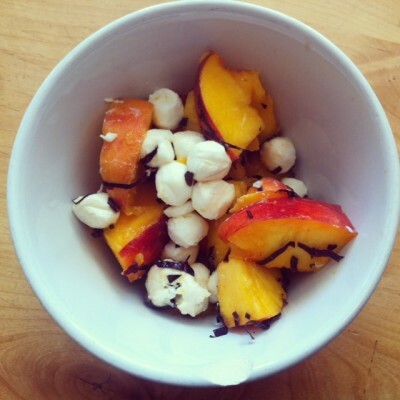 Case in point, The Butcher and The Baker, a small breakfast and lunch cafe, uses peaches from the Western Slope’s Palisade, purple basil and fresh mozzarella to make a simple, elegant salad. Wild mushrooms flourish in the mountains surrounding Telluride, and some chefs wild-forage them to incorporate into their menus. 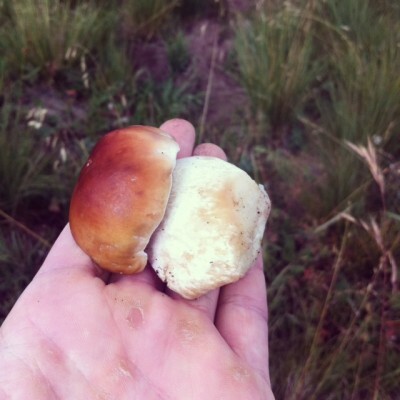 Late summer is prime time for mushroom harvesting. 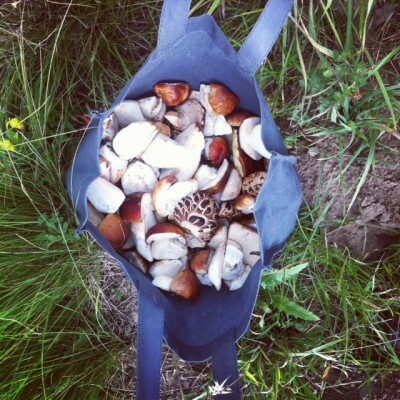 If there’s consistent rainfall, expect to bring back bags of mushrooms. Here’s a perfect porcini mushroom, also called Boletus edulis. 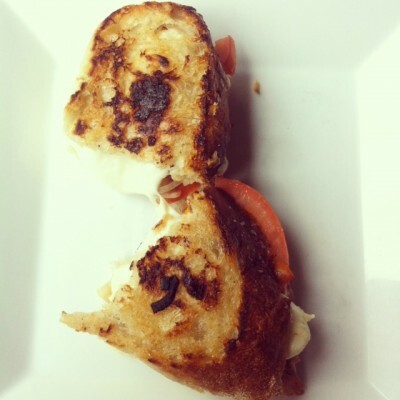 After a cold, damp morning of mushroom foraging, Chad Scothorn, founder and head chef of the Cosmopolitan restaurant, fixes a grilled cheese sandwich with trumpet-shaped chanterelles, tomatoes and house-made mozzarella. Scothorn offers a huge variety of cuisines, ranging from sushi to risotto to filets. 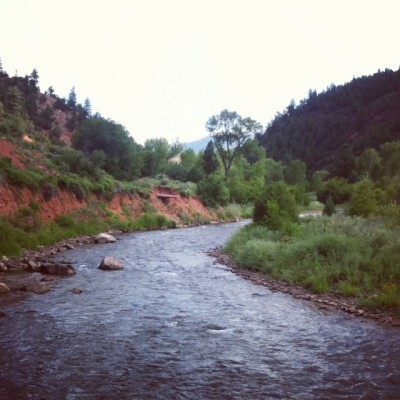 The San Miguel River leading into Telluride is lauded for world-class fly fishing. New to the area? 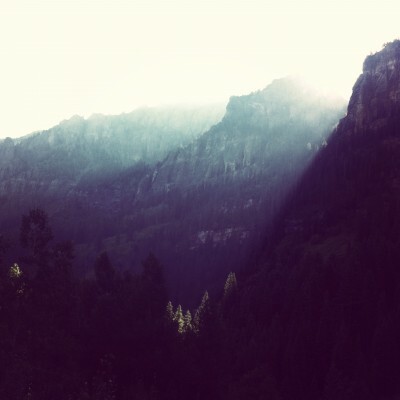 Hire a guide from Telluride Outside — they’ll show you the hot spots. 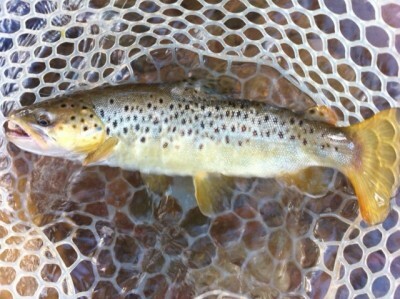 I actually caught a brown trout! 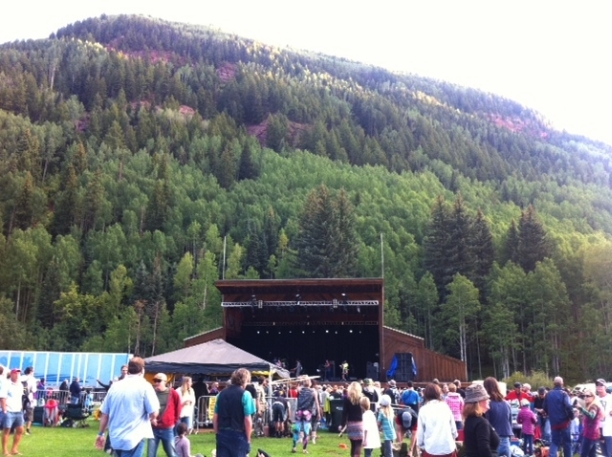 Telluride is dominated by summer festivals and concerts. The outside venue provides a dramatic backdrop to hear bluegrass, funk or, in this writer’s case, Thievery Corporation. Plus, the venue is home to the world’s very best photo-bombers. Go there! Jenna Blumenfeld, (Jenna Ogden Blumenfeld when she’s in really big trouble) hails from the wee state of Connecticut. Although her childhood dream of becoming a bug doctor — with a specialization in ladybugs — has gone unfulfilled, she is content writing about travel, cuisine and culture. A vegetarian, she currently resides in the food hub of Boulder, Colorado. Read more of her food-centric writing at NewHope360.com. You can follow Jenna on Twitter here: @JennaBlumenfeld, or via Google+.